It’s time for another week of The Digital Dozen! If you’re a new reader I’ll tell you a little about it. 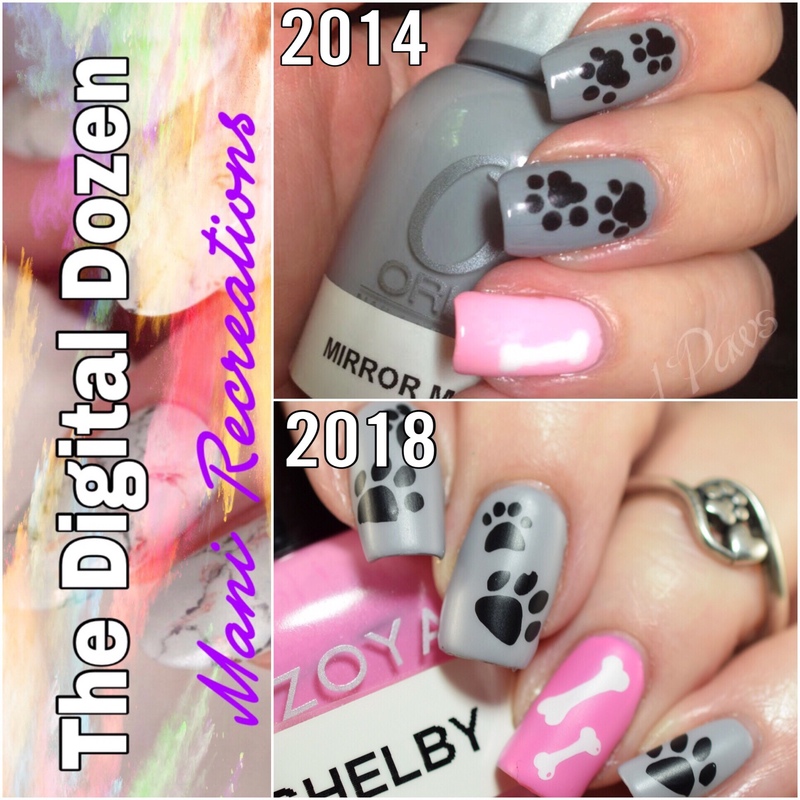 The Digital Dozen is a group of highly skilled nail bloggers and nail artists. For the second full week of each month we each create 5 manicures designed around one central theme. The theme for September is Mani Recreations, which is my shorthand for “Recreate your first blog posts.” This was another fun theme. Wanna see? This is actually the very first nail art mani I ever posted on my blog, and it was within 3-4 days of starting my blog. So I created it very early on in 2014. Check out my original blog post. For most of my recreations I put my current spin on it, but this one remained very close to the original. The main difference is I did stamping this time rather than a dotting tool, and I finished it off with a matte top coat. I love anything with paw prints! Hope you liked it as well. I will be back tomorrow with more mani recreations. In the meantime check out the link up below to see what the other ladies did for today. This is adorable. I prefer how it looks matte. I love this so much more as matte! I am loving the then and nows! Plus what a cute mani! These are so cute!! I love the pink accent! 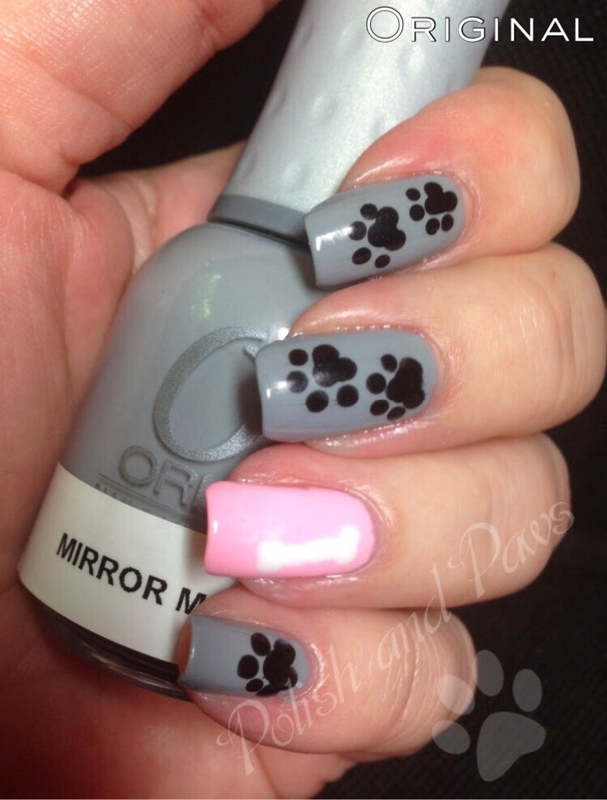 That is such a cute mani, love the paw prints and bones. A perfect theme mani for your blog!